The SteelSeries Arctis series was introduced last year and these headphones are always among favorite of gamers. Recently, the lineup even won the prestigious Red Dot Award: Product Design 2017. 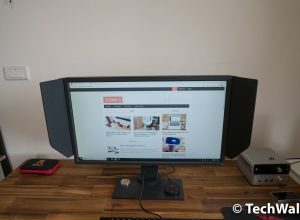 I tested the most expensive wireless Arctis 7 a few months ago but I was not really satisfied with its quality. The SteelSeries Arctis 3 is just half the price and somehow, it is a lot more convincing than its high-end brother. Keep reading for more details. 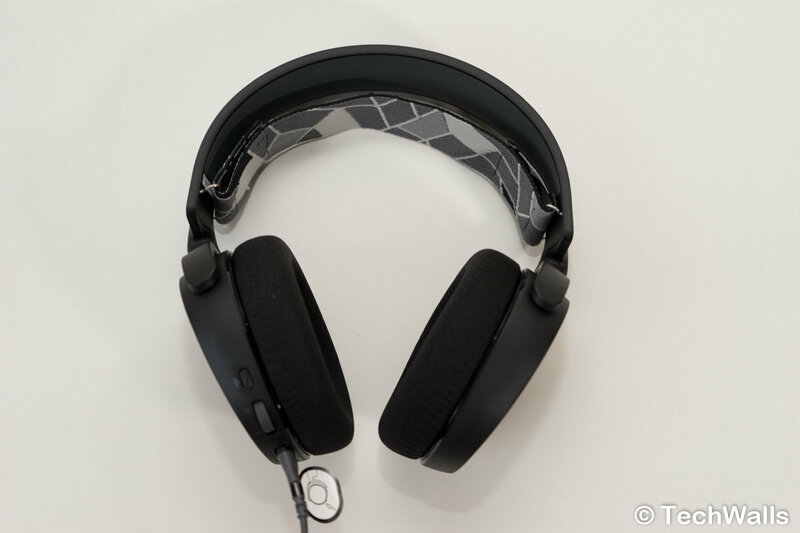 Similar to the Arctis 7, the Arctis 3 doen’t have a premium design as most of its exterior is made of plastic. 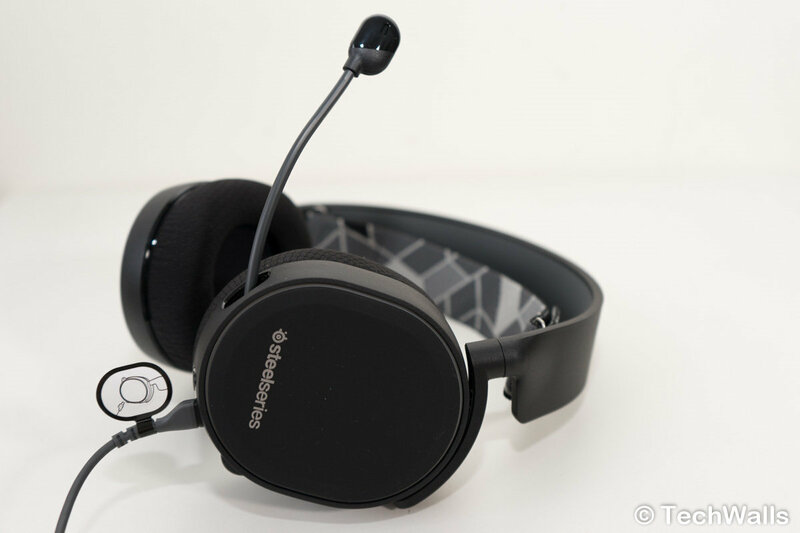 SteelSeries intentionally uses the cheaper material to make the headset extremely lightweight. Besides, the earcups don’t have thick padding and they also don’t use pleather to cover the earpads. 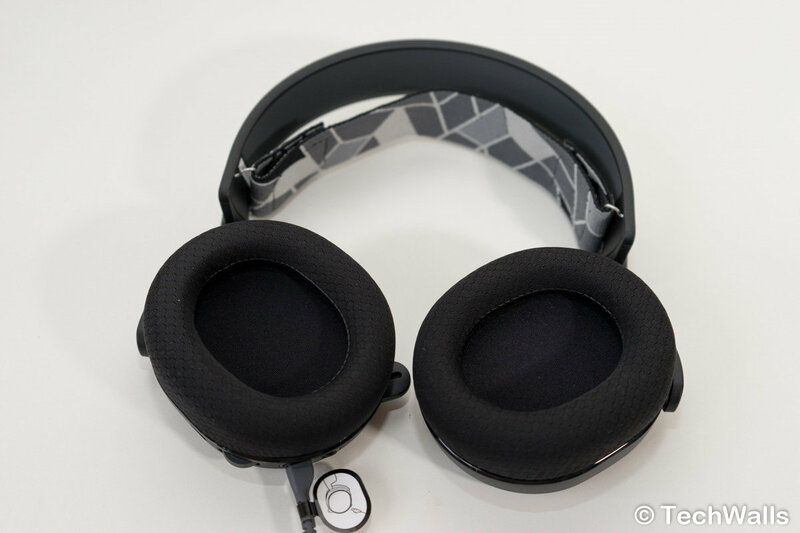 Instead, the Arctis 3 features fabric earpads; the material doesn’t feel soft on my skin, but it has a huge advantage. It is much more breathable and I could wear the headset for hours without any sweat. Notably, it has a replaceable headband suspension which could distribute the weight evenly, so I no longer feel much pressure on top of my head. The design is extremely useful for gamers since they often have very long gaming sessions. It’s very difficult to find such a comfortable headset. However, the design is not perfect. The fabric earpads are not isolating my ears well from the ambient noises. Therefore, I can hear everything clearly on the outside and the sound leaks out as well. On the left earcup, we have a retractable microphone, a volume dial, a microphone mute button, and audio ports. This is an analog headset, so you just can connect it to your computer via a 3.5mm audio cable. Fortunately, it is still supported in the SteelSeries Engine. That means you can turn on/off the virtual 7.1 surround sound, adjust equalizer, or boost bass within the software. 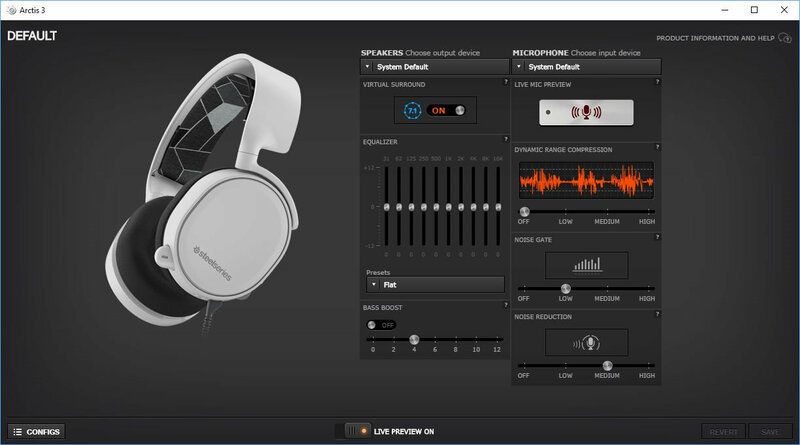 It seems like the Arctis 3 headphones use the same drivers as the ones on the Artis 7, therefore, the sound signature is pretty much the same. 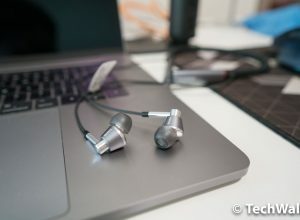 Again I do not recommend the headset to audiophiles since the sound is not clean and natural at all, especially after you enable features like virtual sound or 7.1 virtual surround sound. 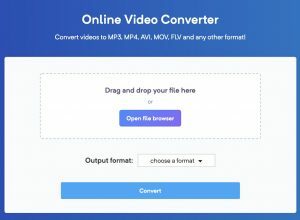 It is like a processed sound that you can hear from heavily compressed music tracks. And as expected, the sound lacks punches at low frequencies, therefore, you won’t be able to enjoy modern music genres with this headset. 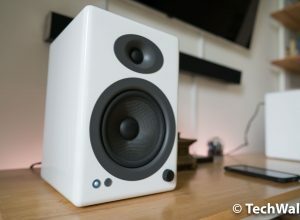 The low midrange manages to make the sound a little warmer and more lively but it’s just not enough. The mids are also slightly recessed, so sometimes it feels like the vocals get lost from the background music. The performance is forgivable since the Arctis 3 is designed for gaming. The sound in gaming is very clear and spacious, especially when I enable the 7.1 surround sound option. However, this is just a simulation and purely done by software, that means you totally can have the same effects with other headphones. 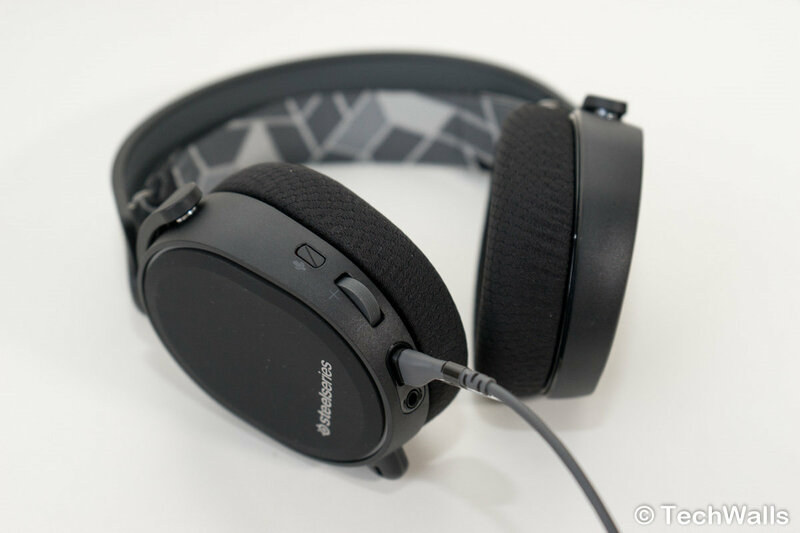 The SteelSeries Arctis 3 is probably the most comfortable gaming headset I’ve ever used. And it even sounds better than the Arctis 7 in wireless mode. Therefore, I highly recommend this product for gaming on PC or console.